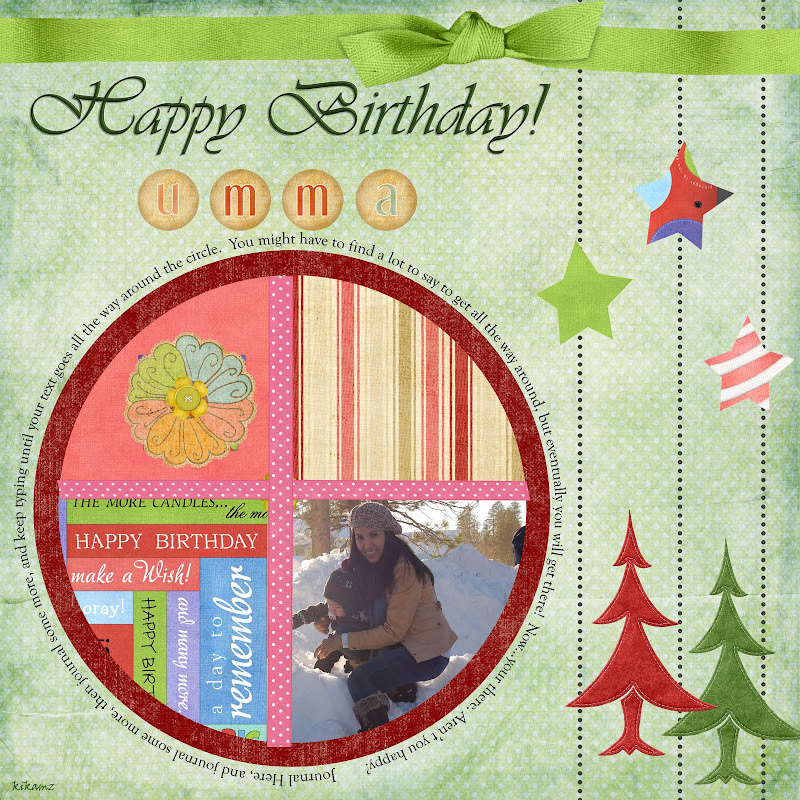 Just About Anything: Happy Birthday Pretty Umma! Pretty Umma is celebrating her Birthday today! Oh my, looks like it's a grand celebration for her because more than half of the world is celebrating it! It must be very wonderful to wake up on Christmas Eve knowing that you are sure to get birthday presents! Hihihi! And to Umma, this one is for you dear! I hope that you will love this! I met Umma online some months back. My first impression of her? Pretty and has a good sense of humor. I only know her blog Happy Moments, Happy Thoughts then. "Pretty Woman". It amazes me how she was able to maintain her figure after having her baby.She is just PRETTY! A Gerbera! Fresh, blooming and very colorful. 5. When you meet Umma in person, what's the first word that you would say? Does expressions count? It would have to be a "WOW!" 6. When you look at her picture, what can you say about her personality? She is friendly and has a sunny personality. I think Umma is doing pretty well as a mother. Yeung Lei is living proof of that! Umma's posts are well-written and are connected to the realities of life. I love reading her posts on parenting because they make me realize that I am not the only mommy who is going through some phases in life. She incorporates humor and real-life experiences in her posts so that I am left enlightened and reassured. Posts which are comment-worthy indeed! Umma, I know that you are happy and contented with what you have now: a very BEAUTIFUL FAMILY! I wish for continued blessings of good health, peace, joy and love. Do enjoy your birthday! A Very Happy Christmas Birthday to you Umma! Let's PARTAY! Wow!! Im already teary eyed blog hopping here and here you go.. reading your post here… huhuhu.. really made my big day a memorable one… You did surprise me my dear, never thought about this .. I just saw those messages from Niko about the wink* wink* thingy but was all clueless what was that all about. Im really thankful that I met you and you became one of my friends too because you are such a thoughtful person. I guess its bec we share the same situation through the faces of our little bundle of joy that’s why we did click too. Thank you so much my dear for the efforts and the thoughts for creating this one.. it really touched my heart.. Indeed the friendship we share will be treasured forever. Merry Christmas to you and to your little family.. Wishing you a fruitful New Year with more blessings to come..